With an exceptional dedication to quality, Comfort Windows takes a unique approach to home energy efficiency and remodeling. Since 1983, Comfort Windows has been manufacturing its own windows in upstate New York. The company, founded in 1979, offers a range of services for home weatherization, window and door upgrades, siding, building enclosures, HVAC, remodeling, and more. 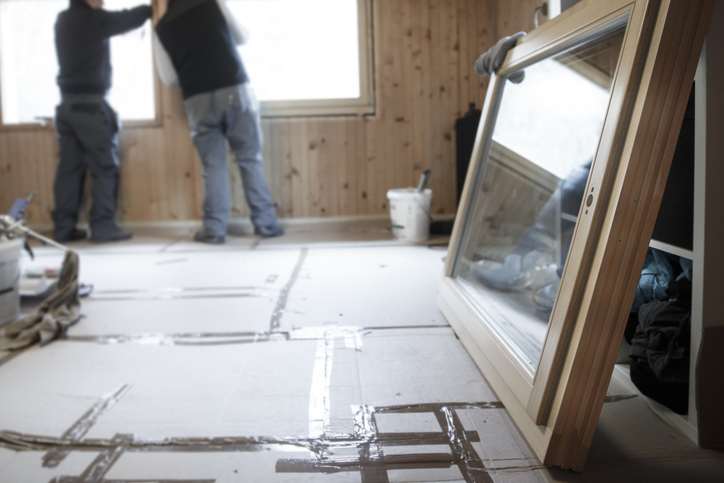 Comfort Windows started providing weatherization services more than ten years ago to help customers lower their energy bills and make their homes more comfortable. They now install cutting-edge insulation and insulated siding, they air seal homes, and they conduct home energy audits throughout Upstate New York. The company is Building Performance Institute (BPI) certified. To get an inside look into how ReHome New York is being utilized by Comfort Windows’ customers, we spoke with Fritz Gentile, General Manager for Comfort Windows. Tell us about offering ReHome New York financing. Fritz: The ReHome New York financing program has been very successful for our customers making energy-saving improvements. The long terms and low, fixed rates are really helpful for our customers, making the payments convenient and affordable. The fact that they can apply online, too, makes it very easy. What do Comfort Windows customers like about ReHome New York financing? Fritz: Our customers can perform energy-saving upgrades and pay no money down. They appreciate how easy it is to apply for the loan. The whole process can be done online or over the phone, and our customers don’t have to enter a bank. A Comfort Windows representative explains the program options and the different loan terms. One of our Rochester-area customers had lived in their home for 36 years and wanted new windows and siding. With building excitement that their home would look brand new and perform more efficiently, the customer submitted a loan application with a local credit union. They were heartbroken when their loan application was declined. When the customer called my colleague to see if we offered any financing options, he recommended ReHome New York. The customer applied in minutes, and we had the approval and notice to proceed. The best part for the customer is that not only do they have a lower interest rate, they also have a longer term, and their monthly payments are lower. Without ReHome, this customer would not have been able to complete the project! Ready to grow your business with ReHome New York? Learn more about becoming a participating contractor!